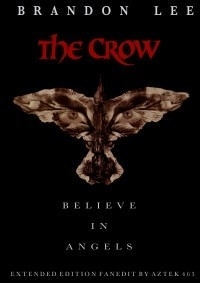 My intention with this edit was to create a longer, fuller version of The Crow. I am aware of at least one other deleted scene (The Skull Cowboy) and if I ever find a high quality version of that, it will be included in a subsequent release. Additionally, I added a brief fade-in to the Dimension Films logo at the start of the film.